Book Review "Jesus: Prophet of Islam" | Nur Randall Hrabko, M.D. When I was younger, a conviction in me grew that there must be truth in every religion and was curious of the how, where and what - in those days I used to study books of all major religions that was available to me and tried to learn about the life of their central figures. Now when it came to the blessed personality of Jesus Christ, peace and blessings be upon him, I felt like my thirst is not quenched from the accounts of what remains in New Testament or Christian Canonized Gospels. It always felt like the real life of Jesus is described too brief and the descriptions end too abruptly. So I was looking for him, his blessed presence in other traditions as well until I came across various interesting accounts about him in the Hidden Gospels, in mystic accounts such as Nazarene Ways as well as in Islamic tradition. 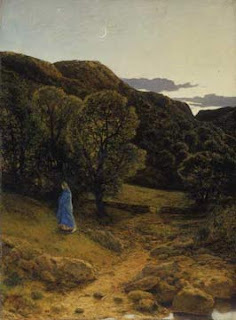 I came to know about the possibility and scholarly findings that he survived the crucifixion in which he never died (Jesus himself testifying to that) and journeyed to East, particularly to India which many scholars believe where he was in the lost years of his younger days and again returned there seeking the lost tribes of Israel. Those were source of much fascination and inspiration to quench the thirst of knowing the unknowable Spirit of God, Jesus, the son of Man, son of Mary and Ruhullah (Spirit from Allah). For me, still Jesus Christ remains a true inspiration and I still look for his true face and every little description of him wherever they could be found. For the Sufis Christ is the archetypal Murshid, the Master was of this world but always above it, who transmitted to his disciple from his blessed presence the uncompromising truth and how to shun the dunya (world) like a true ambassador of God and how to live the statement, "Indeed we are God's and to God we are returning perpetually (inna nillahi wa inna ilaihi rajiun)." Few weeks back I came across a lovely Book Review on Jesus Christ from Sidi Nur Hrabko, who is a fellow seeker in the Shadhili Sufi Path and disciple of Sidi Muhammad al Jamal, may Allah bless him and all his students. It was shared in Sufi Matters Yahoo Group which is moderated by Sidi Nur as well. I am sharing it here, may it be beneficial for us all. Peace! A Book Review with Personal Reflection. I am Nur Randall Hrabko, M.D. I met Sidi Muhammad al-Jamal (my Spiritual Guide) in 1997 at Jackson Hole, WY. Prior to this I was raised in the Christian tradition and have been in 12 step groups, studied with a group in the Hindu tradition, and spent time with A Course in Miracles. Prior to 1996 I worked in my profession as a dermatologist and stopped working in January 1996 due to illness. I sought out Ibrahim Jaffe, M.D., the American representative of our Guide, in 1996 to study with him to become a healer through the School of Energy Mastery from 1997-1999, and graduated from the School of Energy Mastery in 1999. From 1999 -2010 I worked as a teaching assistant in the school for all years except three or four (2004-2007). I have been active in the tariqa since my beginning with Sidi in 1997 starting in the Los Angeles area from 1997-2009 and since then, I have moved near the retreat center in Pope Valley, CA (www.suficenter.org). I am married to a wonderful woman, Jamila Fuertes, and have three grown children. I am interested in the Truth and any topics which support that. My intent (to share this) is to interest you in a book I recently read and to give you enough information to sink your teeth into so as to whet your appetite. I saw the book, "Jesus, Prophet of Islam" at the Mother Center (Shadhili Sufi Center in USA at Pope Valley, California) Bookstore and picked it up. I used material from it at the masjid in Pope Valley for two Khutbas at our Friday Jummah while our Imam is away. It should perhaps be emphasized that the title of this book is not intended to be provocative. It has always been understood by the Muslims at least, that the way of life which was embodied by all of the Prophets, may the blessings and peace of God be on them and to their families and companions and true followers, was essentially one and the same life-transaction, grounded in the worship of the One Creator of the heavens and the earth and all that exists, both in the Seen and in the Unseen worlds the way of Islam. Like all the Prophets before him, Jesus, peace be on him, confirmed the Prophets who had come before him especially Moses, peace be on him and foretold the coming of the Prophet who would come after him Muhammad, may God bless him and grant him peace and as with all of the Prophets, the simple way of life that Jesus followed was the way of total submission to his Lord, the way of Islam. When the way of Islam is viewed from this perspective, then it is clear that not only Jesus, but indeed all the Prophets and especially Muhammad were Prophets of Islam. It is, when understood in this sense, impossible to make any distinction between them. I found the book very good reading, and could hardly put it down once I started it. It explained how the myths of the trinity, the supposed crucifixion of Jesus, original sin, and salvation through Jesus supposed dying on the cross began. It also introduced me to the Gospel of Barnabas which describes the ascension of Jesus to the third heaven, and the crucifixion of Judas. Jesus, Prophet of Islam, (the book) explained fully the Council of Nicea in 325 AD and how for hundreds of years before and after there was a bloody conflict between the Pauline Roman Trinitarians and the Unitarians who believed in the tawhid (oneness of God). Surah 5:46 (in part) ..We gave him the Injil [Gospel] in which there was guidance and light confirming what was revealed before in the Torah and a guidance and a warning for those who fear God. Jesus, peace be upon him, was sent by Allah specifically to the Tribe of Israel that is, to the twelve tribes of the Tribe of Israel who were the descendants of the twelve sons of Jacob, who was also known as Israel. The teachings of Jesus were intended for those who claimed to be following Moses, but no longer had access to his original teachings. Thus Jesus was given the knowledge of the original Torah which had been revealed to Moses, and he always emphasized that he had come to uphold the law of Moses and not change it. The climate that Jesus was born into was a Roman occupied territory that consisted of different groups of Jews. One group made the best of things by acquiring wealth and position, both temporal and religious. The majority group lived in expectation of a new Prophet, the Messiah, the Anointed One, whose coming was described in the Torah and who they hoped would succeed in driving out the Roman invaders. This rumor circulating among the Jews, led to Herod's decision to kill all the babies born in Bethlehem where, according to tradition, the Messiah was to appear. What was Mary doing with a baby who spoke from the cradle with authority and was visited by Sheppard's and Magi? Mary escaped the Romans with Jesus peace and blessings upon them, by going to Egypt where the Essens, a third group of Jews, had another colony. The Essens were a secret society of Israelite men that lived in caves in the mountains of Jordan near the Dead Sea. They concentrated on living a life of purity following the teachings of the Old Testament apart from the influence of invading nations and rulers. Some of their teachings were recovered in the Dead Sea Scrolls. They had religious school and families would send their sons to them to be educated. Yahya, John the Baptist, was sent there by his parents Elizabeth and Zachariah to be schooled. Sidi writes in the Stories of the Prophets, page 305, "Today the Essene books are the closest to the true account of the life of Jesus. The bible had been changed by the Romans, and by those in power, before the discovery of the Essene Books." Christians can be divided in two groups: Unitarians and Trinitarians. The Jews that accepted Isa (Jesus, upon him be peace) as a prophet and the messiah were Unitarians affirming the belief in one God. Churches that evolved and adopted these beliefs could be found primarily in North Africa and Asia. Jesus, Prophet of Islam, page 56: In the years that followed Isa's (Jesus') Ascension to Allah, the gulf between the Jews that rejected Isa and the Jews that followed him began to widen. It was into this circle of sincere followers that Paul of Tarsus walked. He had never met Jesus, he had a reputation of being one of the greatest enemies of Jesus. He was on his way to Damascus with letters from the temple high priest to capture and bring to Jerusalem the followers of Jesus. It was on this Journey to Damascus that Paul is said to have met Jesus in a vision and become one of his followers as a result. Not long before this took place it is recorded that Paul had desired to marry a woman called Popea who was the attractive but ambitious daughter of the high priest. She liked Paul but rejected his offers of marriage and went to Rome as an actress. Ultimately she married Nero and became the Empress of the Roman Empire. Paul therefore had good reason to resent both the Jews and the Roman Empire. He must have been under considerable emotional and mental strain at the time. It is possible that this crisis in his life had some bearing on this sudden change from his being one of the greatest supporters of the Jewish Law to one of its greatest enemies. According to Acts 9:20 Paul stayed with the followers of Jesus who were in Damascus and He preached Christ in the synagogues that he is the son of God. He then left Damascus and went into the desert for three years. Here he may have begun to formulate his own version of what Jesus taught. This involved a rejection of the Law of Moses, which in turn meant his turning away from the message of Jesus. Paul then comes to the apostles in Jerusalem and claimed to have access to the revelation of Jesus Christ. They were skeptical as what he was telling them did not tally with what they heard from the lips of Jesus. Barnabas who, according to tradition had been Paul's classmate under Gamaliel intervened and spoke in favor of Paul. What followed was an invite to Antioch (Antakya, Turkey) by followers of Jesus that had fled there for Barnabus to come and teach. 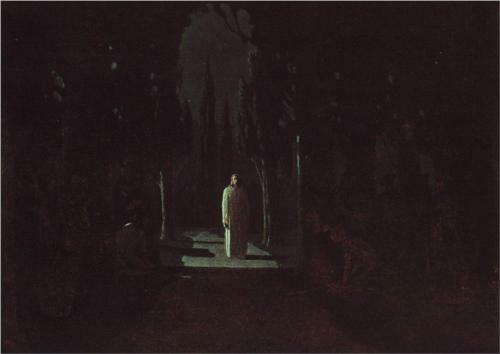 Barnabus later invited Paul to join him. Because of Paul's continued deviation from the teachings of Jesus, Barnabus parted from Paul. Paul's teaching apparently followed a line of reasoning that Jesus was dead and so Christ is free from Jewish law, and that it was necessary to follow Christ's teachings and not Jesus teachings. Paul assembled his doctrine of original sin, redemption and atonement on the crucifixion and resurrection which never happened. It was a great success since it preached a man could do what he wanted and not face the consequences provided at the end of the day, he said: I believe in Christ. Another issue was trying to teach to pagans. There was disagreement among the disciples on this issue as they felt Jesus was sent to re-establish the Torah and his teachings were for Jews. However, Paul disagreed and later Peter agreed with him. With the shift of emphasis from Jesus as a man to the new image of Christ, who was divine, the pagan societies of Greece and Rome began to assimilate into their own philosophy what Paul and those who followed him were preaching. Their view of existence was a tripartite one (Quronos, Kronus, Zeus) and, with the Pauline Church's talk of God the Father and Son of God it only needed the inclusion of the holy ghost to have a trinity which matched theirs. With the passage of time these two pictures merged into one, and the doctrine of Trinity was born. There were also problems with translations and limitations of language. When the Hebrew Gospels had been translated into Greek these translational errors became permanent when nearly all the Gospels in Hebrew were destroyed. While Paul's version of Christianity spread northwards up through Greece and Italy and then Europe, the true followers of Jesus, the real Christians with the message of tawhid, spread with their knowledge throughout the holy land and to the east and to the south and across north Africa. Those who embodied Jesus' teaching transmitted much of their knowledge directly from person to person, behavior was imitated and the doctrine of Jesus passed on orally, supplemented with various teachings that had been written down. There was no formal collection of teachings. They continued to affirm the Divine Unity. The Pauline Roman church did not approve of the teachings of the Unitarians and despite torture, assassinations and imprisonments of Unitarians they held to their just belief in the Unity. Some of the traditions and sayings were kept by descendants and when they became Muslim these found their way into Islamic literature. Ka'b al-Akbar said, "Jesus, son of Mary, was a ruddy man, inclined to white; he did not have long hair, and he never anointed his head. Jesus used to walk barefoot, and he took no house, or adornment, or goods, or clothes, or provision, except his days food. Wherever the sun set, he arranged his feet in prayer till the morning came. He was curing the blind from birth, and the leper, and raising the dead by God's permission, and was telling his people what they were eating in their houses and what they were storing up for the morrow, and he was walking on the surface of the water in the sea. His head was disheveled and his face was small; he was an ascetic in the world, longing for the next world and eager for the worship of God. He was a pilgrim in the earth till the Jews sought him and desired to kill him. Then God raised him up to heaven; and God knows best. Jesus, the Messiah, peace be upon him, used to take nothing with him but a comb and a jug. Then he saw a man combing his beard with his fingers, so he threw away the comb; and he saw another drinking from a river with the palms of his hands, so he threw away the jug. The disciples said to Jesus, peace be upon him, "How is it that you can walk on water and we cannot?" Then he said to them, "What do you think of the dinar and dirham (pieces of money)?" They replied, "they are good." Jesus said, "But they are alike to me." A shift in the struggle between the Pauline Christians in Rome and the Unitarians happened when the Roman Emperor Constantine discovered Christianity. He was jealous of his oldest son and heir Crispus and to secure his own position Constantine had him murdered. It was known that the step mother of Crispus had wanted her own son to succeed Constantine and accordingly he put the blame for his crime on her and killed her. The supporters of the prince and Queen turned against him and the priests of the Roman temple of Jupiter told him there was no sacrifice or prayer which could absolve him from the two murders. It was an uncomfortable time for him in Rome so Constantine decided to go to Byzantium and on his arrival modestly re-named the city Constantinople. Here he met with unexpected salvation from the Pauline Church whose leaders said that if he did penance in their Church his sins would be forgiven. Constantine recognized the possibilities of using the Christian Church to his own ends provided he win its loyalty so he gave the church his support. However being a pagan he did not understand the significance of the disagreements between the Trinitarians and the Unitarians. With the support of the Roman Empire the Pauline Church continued in the killing the Unitarian Christians who disagreed with them. The popular Unitarian church under Donatus of Cathridge became the church of the martyrs. Arius of Alexander wrote: "We are persecuted because we say that Jesus had a beginning while God had no beginning." Constantine wanted peace between them and convened a meeting of Christian bishops to settle the matter in what is known today as the Council of Nicea 325 AD. Invited were various bishops but neither Donatus nor Arius the strongest Unitarian bishops of the time were invited. Other sincere pious Unitarian bishops were invited but they were out of their depth in this conference with leading Pauline Roman Bishops. Present on the conference table were the known Christian gospel writings of the time. The estimate was between 300 -4000 books. Since a consensus could not be reached as to which books were to be put in the bible, Constantine suggested that the books be place under the table and the bishops all go back to their rooms and pray that God move the books that should be selected on top of the table. In the morning the four gospels which are in the bible were on top in a neat stack. The Unity Bishops hoped that by agreeing to this they could go home and be left alone. It was also agreed that Jesus was the son of God and Divine. Constantine held another conference in 381 that placed the Holy Ghost in with God and Jesus, so now there was a Trinity. However, now that the Roman Church had the support of Constantine the Unitarians were all but wiped out. It was a capital offense to be caught with any of the books but the four approved gospels. Not only did the books get burned but the possessors as well. 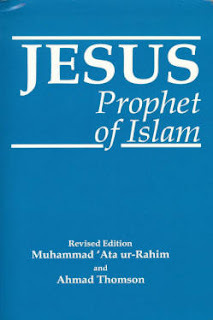 JPOI p278 Commentary on the above hadith: The prophets are brothers- they are all the same; there is no distinction between them. Sons of one father: they all declare on doctrine la ilaha il'Allah. There is no god but Allah. Nothing can be associated with Him in His Divinity. Their mothers are different: each Prophet has been sent to a particular people at a particular time. The Prophet of the time has had revealed to him a Sunnah, or life form, a practice, a social pattern by which his community should live. Whenever a new Prophet came to a people, he brought a new form of the Sunnah to accord with the new age. This is the Shari'ah or Road of the Prophets. Thus, with coming of our master Muhammad, (s.a.w.) the Divine Transaction is complete. Messengership is sealed in the last revealed Book, The Glorious Qur'an. Q 5:3 This day I have perfected your way of life for you, and I have completed My blessing upon you, and I have chosen Al-Islam for you as your way of life. A Reaction to the Review. "Your post about the book was absolutely the answer to my many questions over the last 50 years or so. I read your email several times, and printed it as I knew I wanted to read it more intently. I joined the American Holistic Medical Association in 1996 and studied extensively with them. I joined the American Holistic Medical Association in 1996 and studied extensively with them. After reading your email, I looked on www.half.com (ebay) and found the 2002 edition by Ahmad Thomson and purchased it - the book arrived quickly. After retrieving it from my mail box, I sat down and read for over 4 hours, skimming, being absorbed and enjoying the information with the intent of going back to read more intently and thoroughly. I have now completed much of the book in spite of being a more formal format of a text vs a novel. I am so very thankful for your interest in this subject and for posting it on 'sufimatters'. Reading this most recent posting leaves me with many questions, which I know I will explore. As to having no response to your posting ~ I was a bit surprised, then thought about it. How many people in the world have even heard of Arius or Origen or any of the early "Christian Church Fathers", as they are called? Perhaps college / seminary professors who specialize in history? How many people know about Constantine or even care about the counsels, his life, motives and beliefs? How many people know that many 'gospels' were written and destroyed because they did not 'fit' the agenda of people at the counsels? How many mainstream Christians would doubt the teachings of Paul, or realize that the Trinity is not taught in gospels? or know of the divide between James and Paul? They don't even know who James was! Nor do the average Christians understand the events of the numerous translations and the hidden agendas, that the early "Christians" did not agree, and that some pagan rites and rituals were the basis of what is thought of as 'new' and 'revealed' information unique to the followers of Jesus. Over the years I had studied and even practiced many of the major religions, the esoteric teachings and mysticism even though I was raised in the protestant Methodist tradition. Also, during the last 20 + years I have intently studied what is broadly termed theology / religion / spirituality ~ in the process became a Unity Licensed Teacher (one step from being ordained), studied in three different seminaries, and was ordained as an Inter-Faith Minister. I was searching as Christianity did not ring true for me, yet I honored the teachings of Jesus, recognizing that some may not be accurately portrayed, and the writings in "Old Testament". The professors did not like my probing questions as it was threatening for them. Thus the quandary. I wondered -- what is wrong, what is hidden, what is the undercurrent that does not ring true? Reading your email and then the book was refreshing. Finally many of my questions are being answered, for which I will be forever grateful. 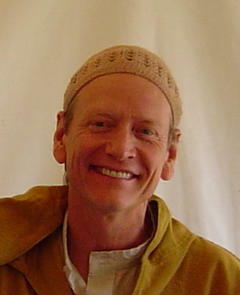 Walking the Sufi path and reading Sidi's books open up a whole new life and way of being ~ which is truly exciting. After many years of studying Christianity, I feel that this book is very accurate and well researched. it is in agreement with nearly all aspects of christian academia and basically sums up the evolution of Christianity using well documented facts and easy to follow explanations. as a person who has spent a considerable amount of time in the field of Christian and Islamic study, I must say that the author has summed so many years of my research in this excellent book. I recommend this book to anyone who is interested in learning basic facts about the evolution of Christianity and how it affected those who came in contact with it. This book consists of 10 Chapter. Chapter 1, "The Unitarian View and Christianity" argues that based on historical proof that Christianity was from its beginning just as monotheistic as Islam and Judaism. It also gets into how the belief in trinity was merely based on a historical decision in 325 A.D.
"A Historical Account of Jesus" is the title of the second chapter which gets into what Jesus actually looked like and anything else of interest that has been written about him. The chapter quotes The Bible, The Qur'aan and some Hadith. The next chapter which is on "The Gospel of Barnabas" is a short survey on this Gospel which is said to be the only surviving Gospel written by a disciple of Jesus. Another book of interest like the Gospel of Banabas is called "The Shepherd of Hermas" which is the topic of Chapter 4. The Shepherd was written between 88 and 97 AD and because of its affirmation of Divine Unity as opposed to trinity, all copies were ordered to be destroyed after the Council of Nicea in 325 AD. Chapter 5 discusses "Barnabas and the Early Christians". This chapter quotes The Bible extensively and talks about how the earliest followers of Jesus and Barnabas were not much different. The next chapter titled "Early Unitarians in Christianity" is a compilation of short bios of the earliest Unitarians from 130 A.D. to 336 A.D.
Chapter 7 ("Later Unitarians in Christianity") is in the same format as the previous chapter except that the bios are of Unitarians from 1511 - 1842. "Christianity Today" basically discusses how distorted the Christianity has become today since the 325 A.D Council of Nicea. Chapter 8 simply quotes various verses from The Qur'aan were Jesus is mentioned. The last chapter is called Jesus in Hadith and Muslim traditions, yet not everything in this chapter is from authentic Muslim sources. Although not all of the Hadith mentioned may be strong, some of them are quite interesting and teach valuable lessons. + Your may subscribe to the group Sufi Matters by going here. Technology of the Heart: Book Review "Jesus: Prophet of Islam" | Nur Randall Hrabko, M.D.